IDAHO: Survivalists Plan Armed Fortress - Joe.My.God. 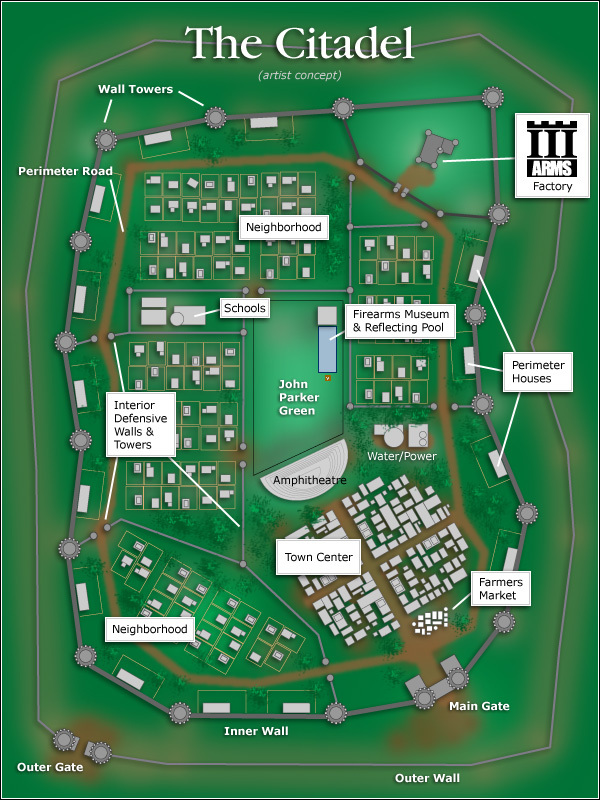 Idaho survivalists have launched a website detailing their plan to create an armed fortress city surrounded by a “defensible perimeter” complete with gun towers. 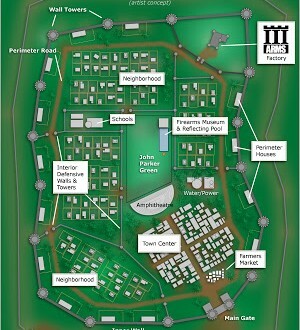 Citadel organizers envision their project to be a community where residents are bound by a desire to “live together in accordance with Thomas Jefferson’s ideal of Rightful Liberty,” which they have determined to mean “that neighbors keep their noses out of other neighbors’ business, that neighbors live and let live.” “Marxists, Socialists, Liberals, and Establishment Republicans may find that living within our Citadel Community is incompatible with their existing ideology and preferred lifestyles,” the group — which claims no leader other than the “ideal of Jefferson’s Rightful Liberty” — explains on its website.